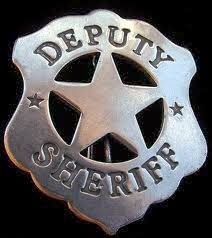 There is a new Sheriff In Town.. I am so excited to announce that Justin got a new job! 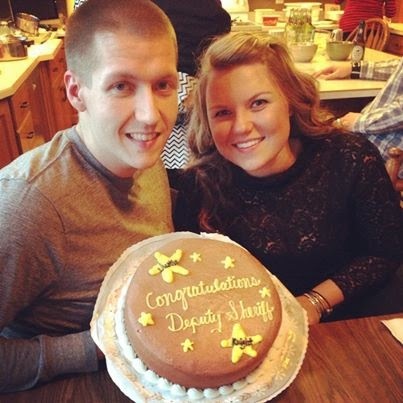 He now is a Deputy Sheriff! It’s such a big move for him! But I am so happy! He will be working 8 hour shifts instead of 12, but once he is on his regular schedule, he will be working second shift 3-11, so dinners with my man are bye-bye. As always a new job is a big change for everyone. It will be different for me to get home from work, and Justin won’t be home for dinner with me. I will miss eating dinner with him, we eat dinner together pretty much every single night! It’s our “little” time together! He has to go through different training, and many different hours. I am ready for the positive change out our life! It will be wonderful experience for him! I am so excited to follow him on his journey to his dream job! His first day is a week from today! He starts out on first shifts, so I will still be seeing him a lot! YAY! I will be loving the first shift schedule! Congrats Babe! I’m so proud of you! !